I am a big fan of the Belgian blog StraightGrain, written by my friend An. 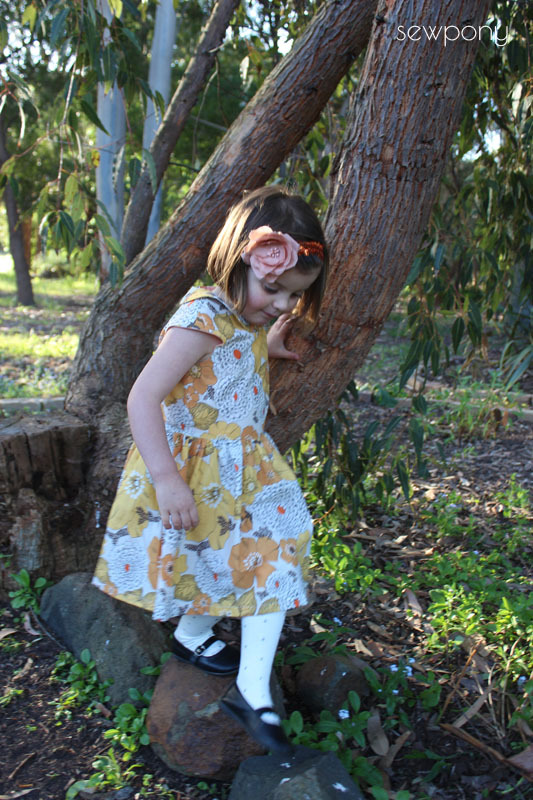 An has just re released her Tinny pattern with a multitude of options! 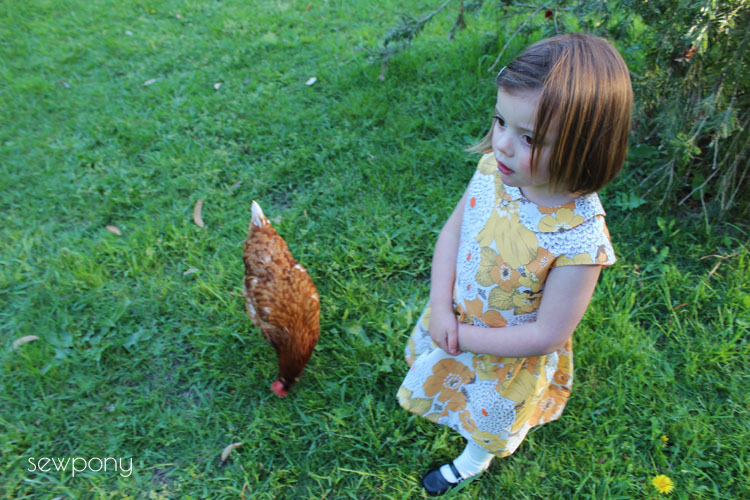 I helped An out a little with reviewing her pattern and helping with some of the line drawings of the pattern options. Of course I had to sew up a new Tinny because all the versions I have seen on An's blog are so lovely! 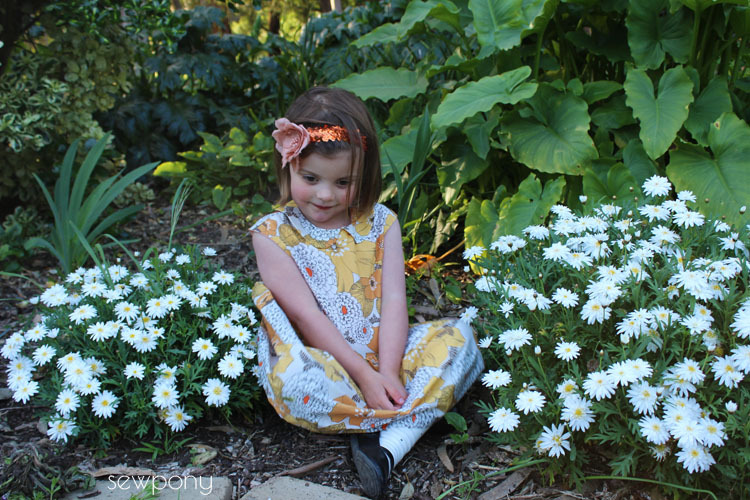 I made Emily the extended sleeve version with peter pan collar and gathered skirt. There are so many other variations - collars, sleeves and skirts that this pattern can be used multiple times with a different dress each time. 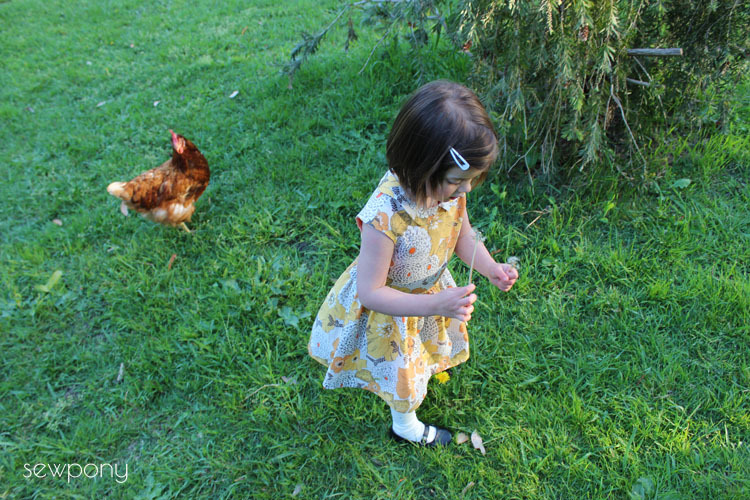 The fabric I used for this dress is a lovely cotton lawn called Garden Floral in Harvest by Lennox Gardens in lawn. It is a Robert Kaufman print which was kindly sponsored by Hawthorne Threads. I love the vintage style of the floral. Unfortunately, I may have used one of the last pieces of this fabric from Hawthorne Threads as this fabric is no longer in print. 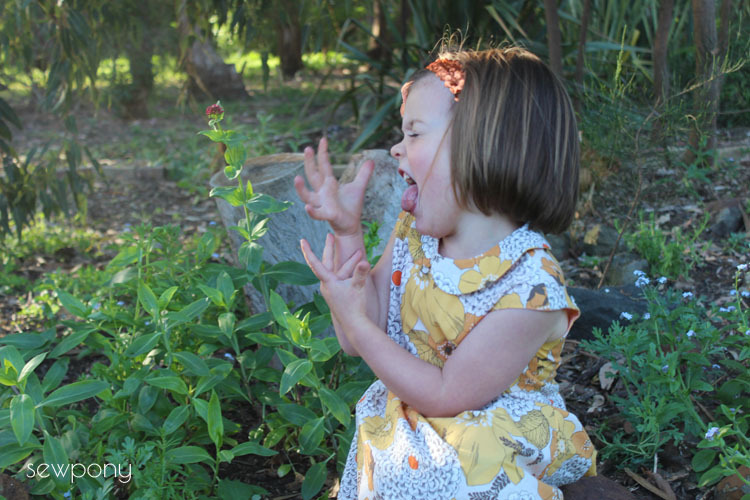 I found a similar Kaufman floral here. So I was left with only a few that were blog worthy! 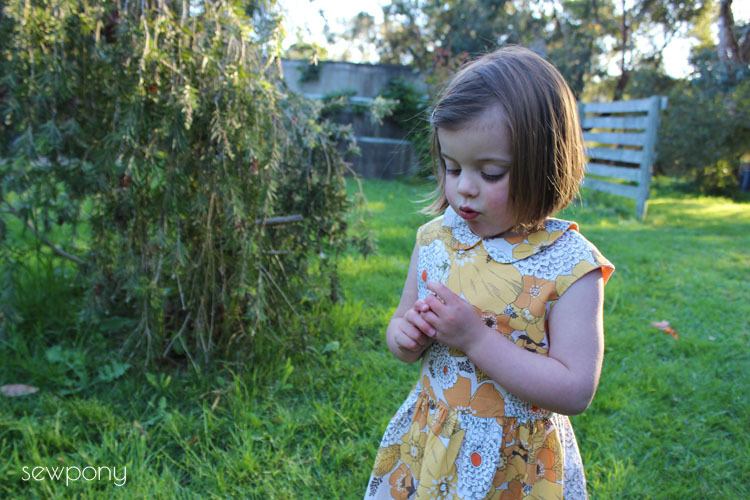 To get your copy of the amazing Tinny dress, head over to StraightGrain - An has a discount code over there too as well as many versions of this pattern to inspire you! 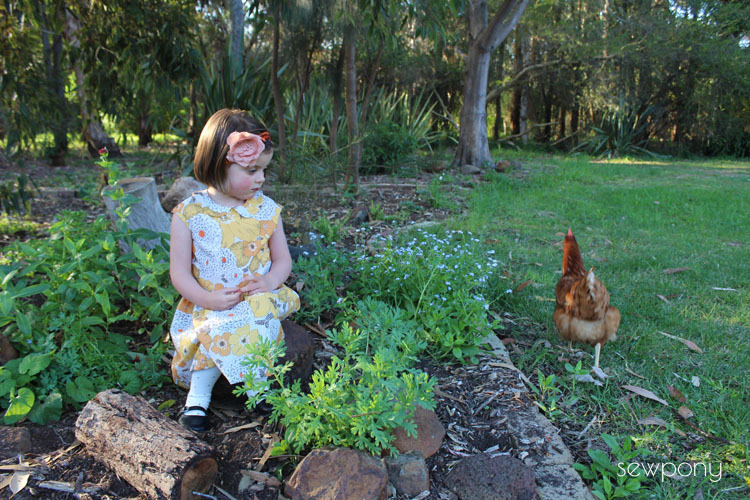 Chickens re-appeared on the blog ;) Suz, I think any photos of this gorgeous child are blog worthy :) She is such a sweet girl :) Her new dress is lovely. I thought the fabric was one of your lucky vintage op-shop finds! Yes - amazing fabric choice! This is absolute perfection! Beautifully done, Suz! Lovely dress, very inspiring. I glued my pattern yesterday now the hard part, choosing the version begins. I laughed out loud due to your comment about your photo quality and the picture that belonged to the comment, I think every blogger gets you! Lovely, Suz! The fabric is so pretty. The vintage fabric suits her perfectly. Those rosy cheeks make up for any tongue poking. She's gorgeous.